Have you noticed that I’ve been sharing a lot of gift ideas lately? 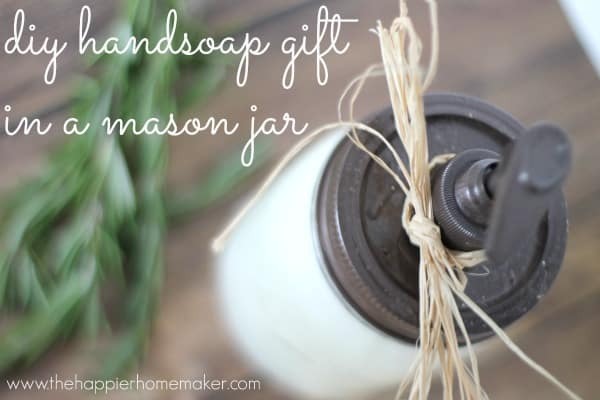 This one was actually my husband’s idea-he asked me a while back if there was a way to make our own DIY hand soap so I started doing research to figure out how to do it. There were a lot of tutorials out there and a lot of different methods but here is how I make mine. 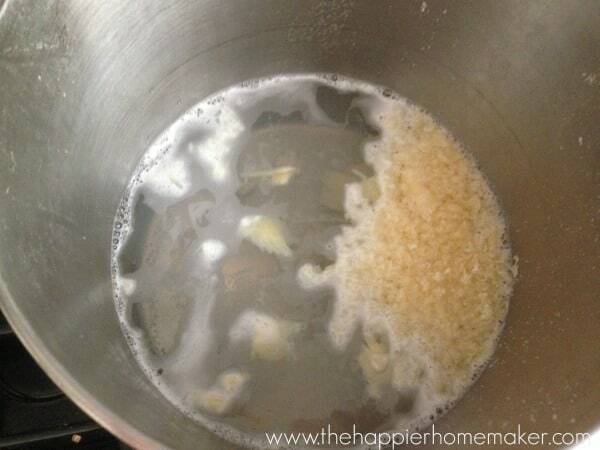 Boil one gallon of water in a large pot. 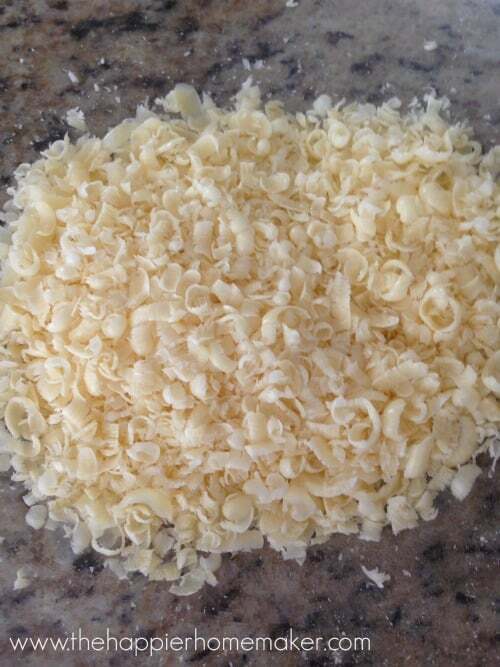 Add the soap shavings and 2 tablespoons of glycerin to the boiling water and stir until all the soap melts. 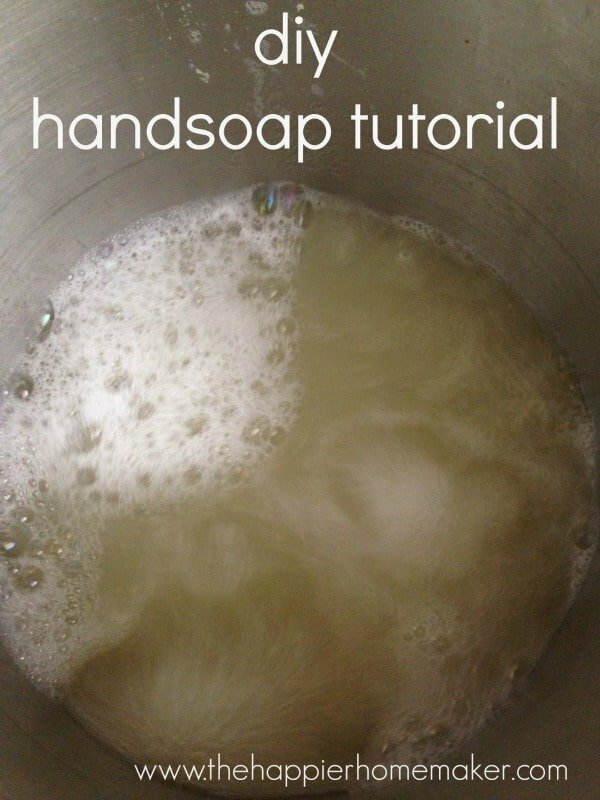 Remove from heat once all soap is melted and allow to cool overnight. The mixture will thicken to, sorry about this, the consistency of snot. I really cannot describe it any other way! 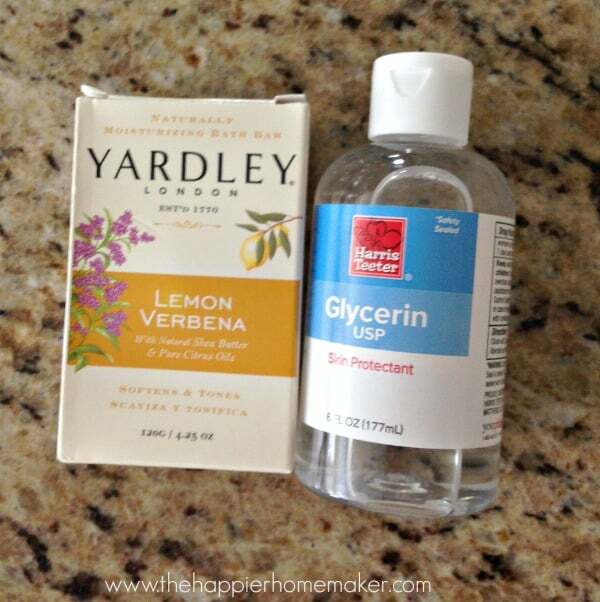 If I was a Hollywood producer who needed snotty special effects, this DIY hand soap would be perfect. Bleck. There you have it! I think these would make adorable teacher’s gifts or hostess gifts, or just fun to make for yourself to save money and add a little cuteness to your life! Great Idea ! but I’ve read about DIY pillow ! maybe in this site ! that was awesome too ! Good article. Love your DIY articles. The dispenser looks fab! Nice use of a mason jar! Take a bow for this awesome post. I have allergy problem on my skin. So I tried lot of hand soap but no luck. i think information of this post will help me. I really appreciate of your work. 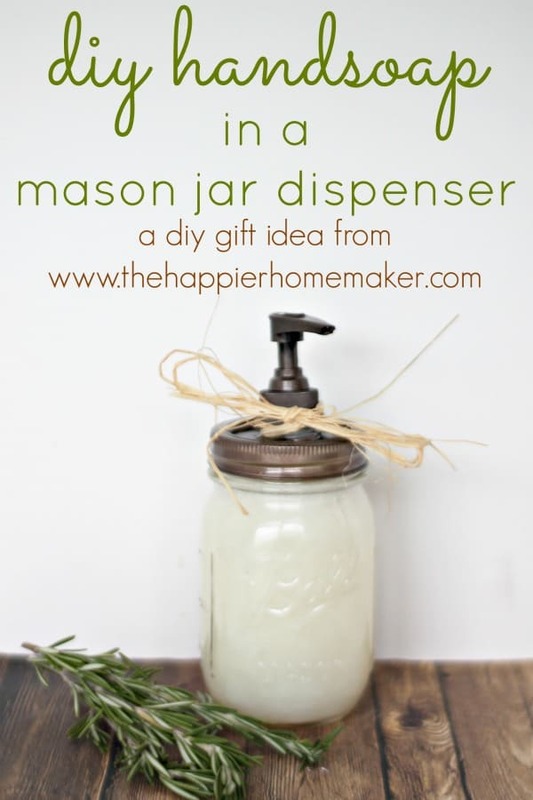 Where can you get the lids to put on the quart jars for the soap dispenser? Nice Melissa, don’t just as a gift I also can use this as for my personal use. Loved it. This is a beautiful gift. this is a beautiful idea for a gift. Love your DIY articles.Thank you for sharing your article. wow! amazing gift idea! Thank you for sharing us.